I'm a big comics fan. 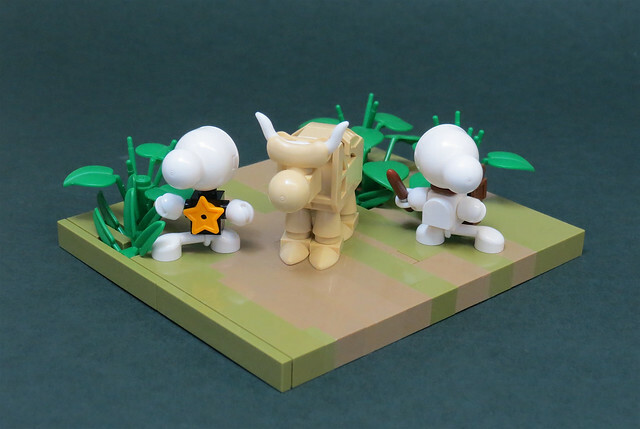 I'm currently making my way through Jeff Smith's masterpiece Bone, so when I saw this excellent MOC by Grantmasters pop up on my Flicker feed, I was delighted. Fone Bone and Phoney Bone are instantly recognizable, and I love the usage of the hot dog bun piece for the cow's head.